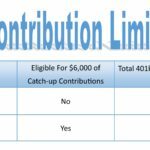 401k Contribution Limits 2019 – Why Contribute? The 401k contribution limits 2019 remain the same as 2018 (401k contributions limits 2019 are listed below). A 401k plan is a retirement plan set up by your employer for your benefit. The employer is benefited by special tax treatment from the IRS and is able to give matching contributions to employees because of the federal governments incentives. Also, employers want you to contribute to your retirement savings plan to be happy and stay at their company for many years. Many employers use 401k plans and lecture about 401k contributions to increase employee moral. Also, 401k matching contributions are free money. 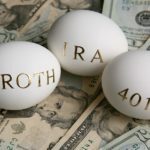 The IRS has certain limits on the amount of money that you can put into your 401k. For most people this is not an issue, however some people who make too much money or people who are considered “highly compensated employees” or HCE are not able to contribute as much as the average person working for the company. 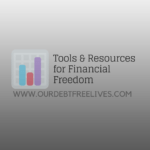 The reason the IRS sets limits on how much you can contribute is that the money you put into the plan goes in on a pre-tax basis, meaning the government gets no money from the money you put into the 401k plan, they cannot tax it until you take it out. So, this means that if you make $40,000 and contribute 6% to your 401k plan (not to exceed 401k contribution limits 2019) you are putting in $92 per pay period considering you get paid bi-weekly or 26 times per year. Also, since your employer matches 6% of your contributions, you get $184 contributed to your 401k plan each pay period. So, in this example it is like you putting in 12% of your pay. However, if you put in 10% of your pay, that comes out to $153 per pay period, the company will only put in $92 because that is 6% of your pay and they will not match the extra 4% you went over. This isn’t necessarily a bad thing, it just means you have maxed out the free money the company is providing you. Try it yourself with our 401k calculator! 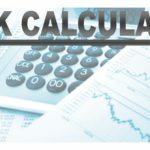 Remember not to exceed 401k contribution limits 2019 while using the 401k calculator. Company 401k match of contributions are the biggest reason why people want to contribute to their 401k plan. The pre-tax benefit of the contribution is also very helpful, but nothing beats free money. Like everything in life though, the matching contributions comes with a caveat. This is what we call vesting. Vesting in its basic sense means the amount of money that you actually have in your 401k or the amount of money that is yours. When you work for a company you become vested in their matching contributions after a certain number of years and it is up to your 401k plan rules to determine this. What this means is that if you leave the company after 2 years of service you get to keep 40% of the money they put in for you and 100% of the money you put in for you. Remember, you are ALWAYS 100% vested in the money you put into the plan and nobody can take that money from you but you. But, the company is able to set rules on their contributions and if you leave before the set period of time that extra money goes back into the company’s pocket. This is a great way for the company to hold on to its employees for the long haul. Most companies do not have a vesting schedule over 6 years. 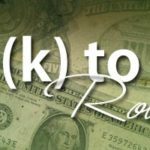 So What if I Cannot Afford to Contribute to My 401k? The answer to this is simple, if your company matches your contributions you can NEVER afford to not contribute money to your 401k plan. This is free money and even if you are only 20% vested this is money that the company is giving you just because you are funding for your future. Also, if things get into a real bind most plans allow for you to take a 401k loan from your plan, meaning you can borrow from your vested balance, which usually is 50% of that amount and usually at a very low interest rate with all of the interest being paid back to you. 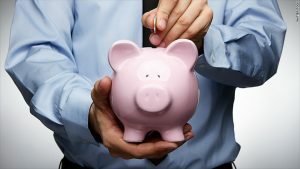 So, in short, not making enough money is never an excuse to not put money into your 401k. If you have had multiple jobs, the 401k plan is easily seen as the easiest way to save money. Have you ever tried to save money in a bank savings account only to see the balance dwindle to nothing in a year? Well, that is the problem with money that is easily attainable, because you WILL spend it on things you do not need now and this will hurt you very much in the long run. 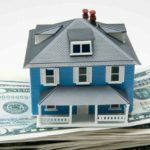 For this exact reason the government has enacted IRS tax laws on 401k plans and IRA accounts to make it not worth your while to take money from them and in many cases if you are working for the company you cannot take money from the plan, you must either take a loan or file for a hardship. You might not be exceeding the 401k contribution limits 2019, so in this example we’ll use reasonable numbers to show the impact of your 401k contributions can make on your portfolio. Here is the final example of the person contributing $40,000 at 6% of his pay with the company matching 6%. Also, we are considering he is 25 years old and is aggressive currently, meaning on average he should earn 9% on his money over the next 30 years until he retires at age 55 (the minimum age to take money from a 401k plan without a penalty and not considering a 72T). His final amount at age 55 – $732,312.12. This figure is from him putting in $92 of his own money, before taxes, each pay period for 30 years. His company is also matching him dollar for dollar on each contribution since it falls within their matching contribution limits. If that doesn’t make you want to rethink that new pair of tennis shoes I don’t know what will. Now you can see the impact of a company 401k match and huge amounts of money that you could be missing out on. If you can reach the 401k contribution limits 2019 go for it! Albert Einstein stated that compound interest is the most power force in the universe. Take advantage of your company 401k match and get contributing! Posted in Retirement and tagged Company 401k Match. 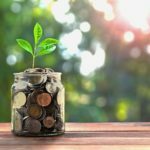 Should I invest in my Company Sponsored 401K Retirement Plan?